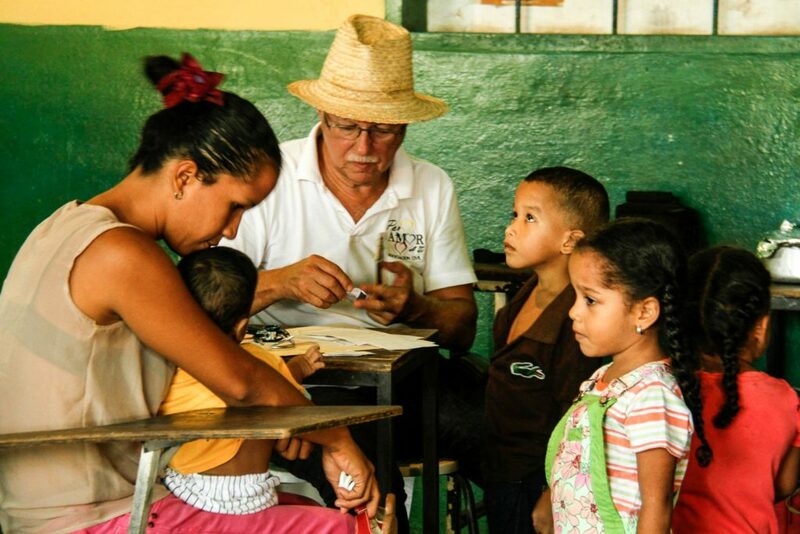 Manuel Velásquez, pediatrician was not at peace knowing that, due to the overwhelming poverty that affects so many families in his native state of Monagas, many children required medical assistance. This was why, since 2011, he continued to offer free medical assistance in different areas of the state. His work faced him with an astonishing reality: 6 out of 10 children had some degree of malnutrition. A starving indigenous child arrived at the battered boulevard where, in the background, the Orinoco River can be seen in all its broadness. He came with his mother and two young siblings. Leaning on one of them, he joined the line of 200 children waiting for medical attention. Doctor Velásquez summoned a group of nine doctors, political activists and volunteers to carry out medical consultations in that community. In the south area of the Monagas state – eastern Venezuela- the Sotillo municipality, despite it’s oil wealth, had become a poor area. It was 2015. The clinic was unsupplied; it did not even have enough medicine to treat those with malaria, a disease that had become recurrent there. Hunger was ravaging entire families. Dr. Manuel knew what was going on. Therefore, when he saw the fatigued Samuel taking very short steps as if he was taking his last breath, he knew that he was part of those families, and that he needed immediate attention. He moved him at the beginning of the line and after examining him, detected heart failure due to anemia. – “Madam, we must take Samuel to Maturín or he will die and I’m not going to let that happen” he told his mother. – “Doctor, but my husband has to give his authorization for that” the woman answered, after thinking for a few seconds. Impatient, the doctor began to cry out for the boy’s father. – We’re taking the child to a hospital in Maturín, even if it means going to the Civil Registry for an authorization, because if we don’t, he is going to die. 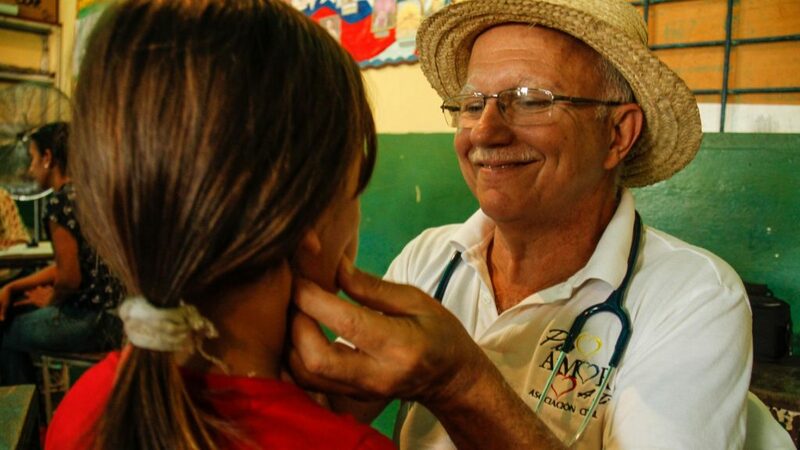 Samuel is one of the 140,000 children that the pediatrician Manuel Velásquez -born in Maturín, sea-colored eyes, gray-haired, broadly bald – has attended in 33 years. Yes, he has his own statistics. He could have been in the Army, because he studied at a military high school. He could have been the first aeronautical engineer in the country in the 70s since it crossed his mind to study that career. But encouraged by his mother, he decided to be a physician. -“Manolo, if I live enough to see you graduate, every time you attend a child, make him smile, because in every smile of them I will be” she told him. And that was what he pursued. He went to Caracas, where he studied at the Universidad Central de Venezuela (UCV) and specialized in Pediatrics at the Domingo Luciani Hospital, located in El Llanito, before returning to his homeland. 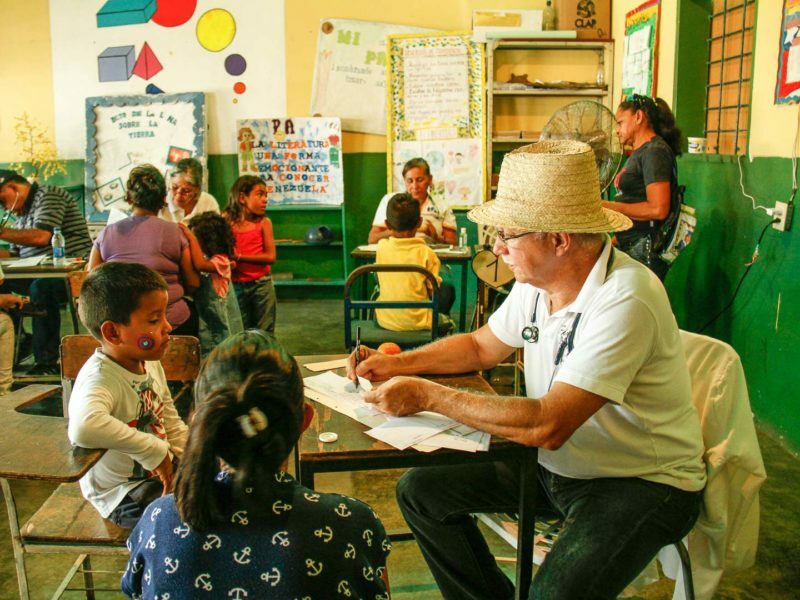 He did his rural internship in Maturín, which legally has to last a year, but since in the community he was assigned the doctors were scarce, he extended it for 23 months. Later on, he went into public service. And he is still working there, doing medical consultations in a clinic in that neglected eastern city. Treating patients, he faced precarious needs, and in 2011 he realized that he should engage in humanitarian assistance. On that day of 2015, Manuel convinced Samuel’s father and took him to the Manuel Núñez Tovar hospital in Maturín. There, after several examinations, the diagnosis was a severe multi deficiency anemia and moderate malnutrition, due to a poor diet, lack of iron and vitamins. In addition, he had intestinal bleeding, caused by parasites. To stabilize him, they had to transfuse three times. Soon he got better, and they bought him medicines, clothes and food. His father insisted they should go back to Barrancas, in the municipality of Sotillo, where they lived, but the doctor decided to leave him hospitalized for the five days he required. And he survived. Manuel Velásquez can’t forget Samuel. He has not heard from him again, but in his memory, he reviews his case and now, almost four years later, he recognizes that it was an omen of what was coming. There have been many Samuels: poverty has worsened, it has become more serious. That is why he decided to go further and in 2015 he created the movement Por amor a ti (out of love for you), and in April 2018 he registered it as a civil association to formalize the medical assistance, and to gather and distribute aid. Through this organization, he receives donations from people living in different parts of the world. 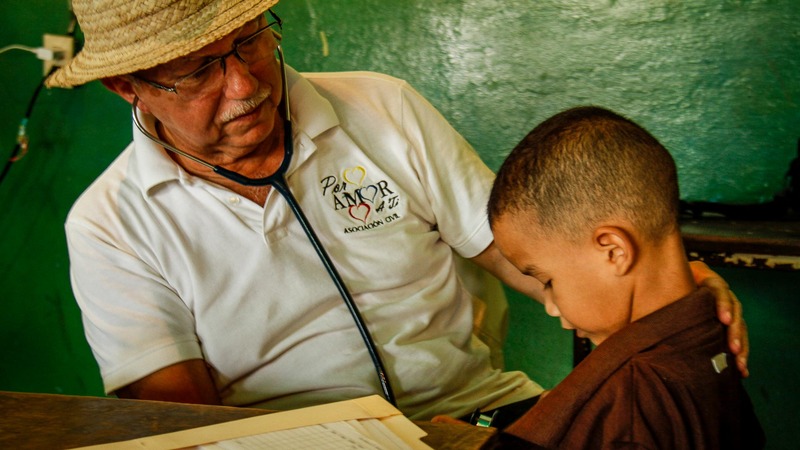 And at least 30 professionals, including pediatricians, obstetricians-gynecologists, orthopedists, businessmen, volunteers and professionals from various fields participate in medical-care activities that take place every two Saturdays in the different corners of Monagas. They have come across with an astonishing reality: 6 out of 10 children who are attended have some degree of malnutrition. They not only assist children, they also involve them in recreational activities and give informative workshops to mothers on topics such as uterine cancer, disease prevention and teach them how to use creatively the ingredients they have at home to prepare nutritious dishes. And, as a way to lessen hunger, they prepare a soup that is distributed among all attendees. 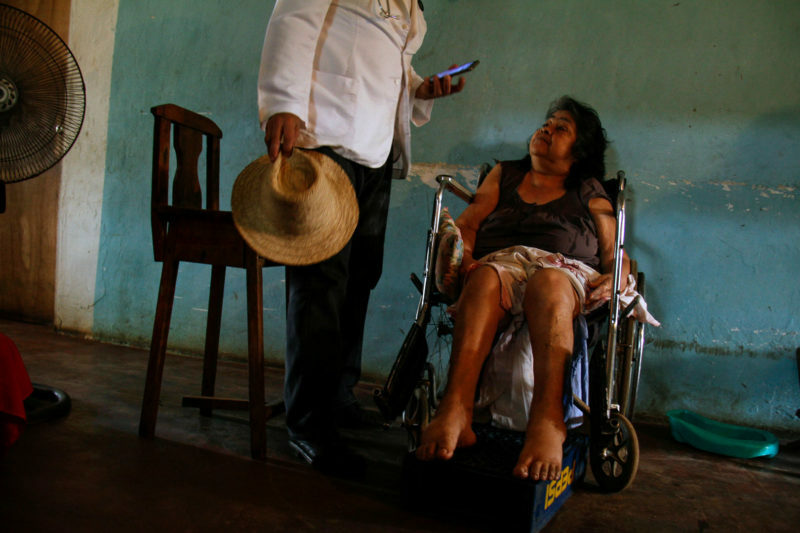 On those days, Manuel gets up earlier than usual and goes out with Herenia, his wife, to face long hours of work in schools, churches, houses or sports courts that serve as a doctor’s practice. Sometimes he forgets his white coat, but he always wears his cogollo’s (bud) hat and a stethoscope on his neck. This is what happened on July 28, 2018. It was a rainy day and the medical consultation was held in a roofed court in San Antonio de Maturin, an agricultural area north of Monagas. There Manuel met Javier, a 2-year-old boy with microcephaly. His parents, who were at the end of their adolescence, did not have the resources to provide him with the care he needed. He weighed him, and given his age and his size, he should have weight 12 kilos, but he was only 4, which is the weight of a three- or four-months baby. He still is surprised of such cases, he continued to consider them dramatic. Impacted, he recorded a video to ask for aid through social networks. Weeks earlier he did the same for another case. It worked before. It was Vanessa, a 9-year-old girl who arrived to the medical consultation that took place in Aragua de Maturín, in the Piar municipality, on an improvised stretcher. The girl, who came from one of the so many impoverished families, had suffered viral meningitis. They fed her through a catheter. He examined her and recorded a video asking for help, by doing so she was able to receive the anticonvulsants she required. However, Javier, his new case, could only be attended once: his parents only went to that first consultation and never took him to Maturín to continue his evaluation; despite the fact that he promised that he would attend him for free. He hasn’t heard about him since, but he doesn’t forget him. Nor does he forget José, 8 years old. He attended him in Boquerón, north of Maturín, in October 2018, in the Town Catholic Church. The child had a moderate malnutrition. They gave him the day’s soup. After he ate the first bowl, he asked for more, and they gave him another. And after eating it, he said he was still hungry, and they gave him another plate. After those three servings, he nearly fainted. Doctor Manuel recalls so many cases, so many details: so many faces living the same reality. 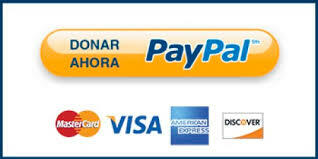 The motto of Por amor a ti is “Help us to help”. Manuel says that sometimes families hamper aid. He explains this in order to refer to another case: it was in La Constituyente, a popular sector of Maturín, in March 2018. Five children had been neglected by their parents; they lived in a makeshift shack in the yard of their grandmother’s house, who, despite being so near, had also neglected them. The oldest girl, 9 years old, was the one who took care of her brothers. The grandmother was ready to give up the children. The doctors went through the legal procedures to adopt the siblings: they spoke with lawyers and got a family willing to receive them. -But the family never gave us the children’s papers -he recalls. We gave them food and mattresses. And they never helped us to help them. The children continue to live on the same shack. Doctors always visit them: they still bring them food, examine them, provide them with supplies to ensure their well-being. Or the case of Eliécer Plaza, who was only 6 years old and weighed 11 kilos. He was admitted with tuberculosis and severe malnutrition in January 2019 at the pediatric emergency of the Dr. Manuel Núñez Tovar de Maturín University Hospital. He spent there 32 days suffering from lack of supplies, medicines and even lack of equipment to perform laboratory tests and X-rays. On Tuesday, February 12, Dr. Manuel Velásquez managed to book him a room in a private clinic, where after 32 days was diagnosed with a life-threatening intestinal obstruction. Despite the efforts, the boy died in a public hospital, while undergoing a surgery intended to save his life. The doctor reported the death of at least 12 children due to malnutrition during this year at the Núñez Tovar hospital and demanded to allow the entry of humanitarian aid to the country to stop children dying at Venezuelan hospitals due to neglect.